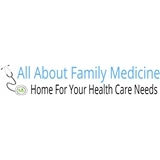 All About Family Medicine (East Norriton) - Book Appointment Online! Please do not schedule Physicals & Gynecologic exams on the 12.30 pm appointment slot & on Saturdays. Please know that Dr. Mendis will not prescribe any controlled substances for new patients. All HMO patients need to change their PCP to our practice prior to their first visit. Thank you and we look forward to taking care of you.